Let’s just say that since Instagram started allowing users to save posts, the screenshots folder of my phone hasn’t seen as much action. My collection pages, however? Those have become a key place for me to save whatever I’m seeing for the future, and right now my eyes are set on layered fall outfits. Blame it on an unseasonably warm October in New York thus far, but all I can think about are sweaters, jackets, scarves, and all the other pieces of my closet that have barely seen the light of day so far. Thankfully, the time I’ve saved in putting together outfits for true fall temperature I’ve spent curating ideas of which looks to try ASAP that bring comfort, warmth, and creativity. Below are my 13 favorite current examples that utilize of-the-moment trends, classic autumnal fabrics and colors, and the clever layering tricks anyone can master. 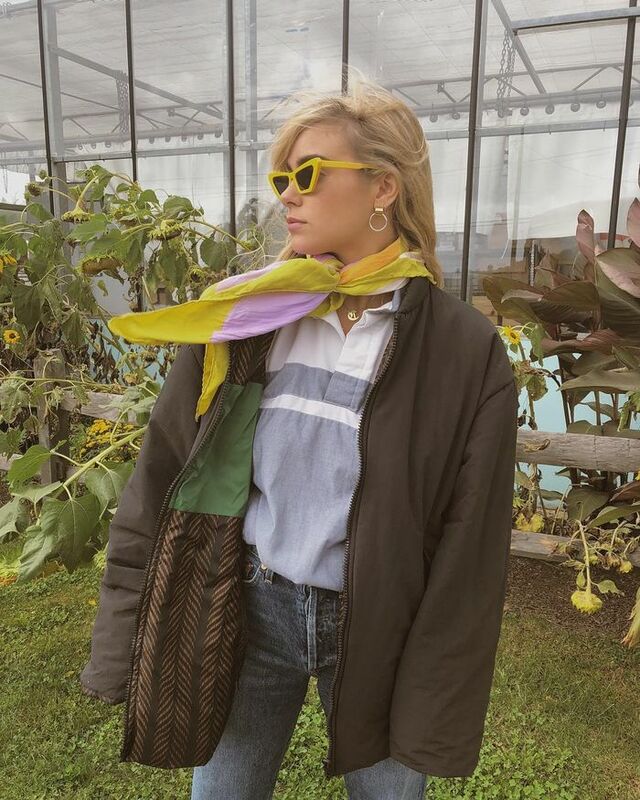 The scarf and sunnies might say summer but not when paired with a cozy, lined windbreaker. Light-as-air maxi dresses get the fall treatment with the addition of a corduroy jacket. Breathe new life into your easy shirtdresses by pairing them with skinny jeans beneath. It's also much warmer than just wearing it with tights. The corduroys, the denim blazer, and the vintage tee are individually amazing, but so much better when worn together. It's fall so velvet pants can happy make a return to our wardrobes now. Skinny jeans and a fuzzy oversize sweater will never not make our list. A classic autumnal plaid feels fresh with a clashing color combination among your socks, blazer, and button-down top. What this outfit tells us is that leopard is a neutral this fall and therefore a complement to your statement trenches. The pairing of midi skirt, sweater, and tall boots keeps you covered head to toe (in clashing prints and colors, no less) but in a way that doesn't feel bulky. If you can still swing sandals and your favorite silk dresses, this oversize blazer is the ideal, unexpected topper. We're just eager for the days when fuzzy bomber jackets make regular appearances. Fall calls for hiking boots. And it's even better when paired with a chic, neutral-colored slip skirt–and-polo combination. Give us all the (nearly) winter whites. Now. 'Tis the season—not for watching Halloween movies, but for dressing like you're in one.